Our core success lies in our customers. 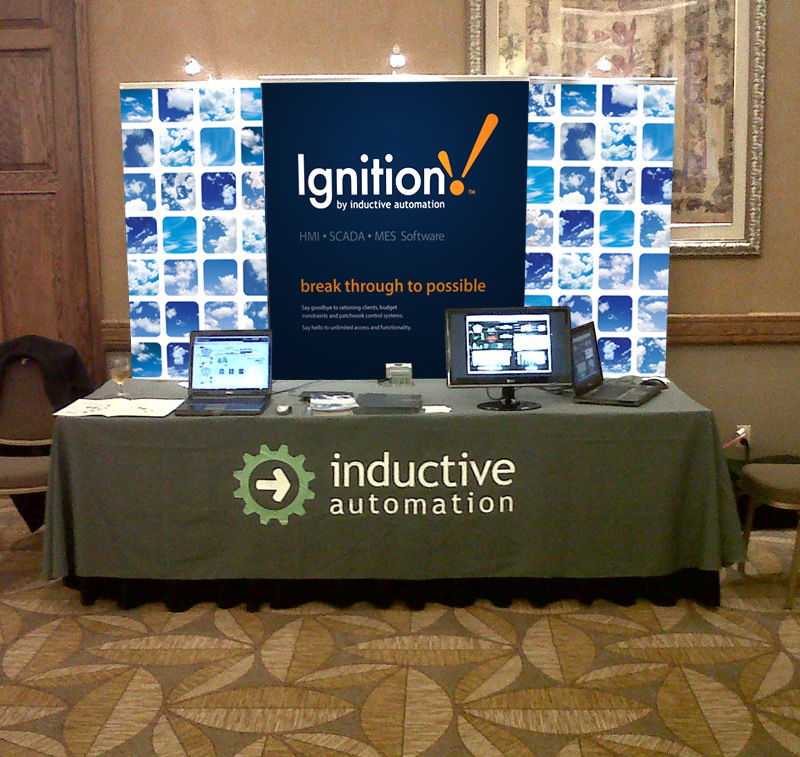 Last month we greatly enjoyed meeting, talking, and hearing from attendees who stopped by our Ignition booth at the OPC Seminar in Portland, Ore. Since listening to customers is a driving force behind software development, Inductive Automation values attending industry events and personal interaction with software users. Web-launched clients was just one of our product features that was developed because of what we heard from customers. They were looking for a better way to implement and maintain control systems. One of the driving forces behind what we do day-to-day is listening to our customers, and creating a product that is, simply put, what “they asked for.” It’s probably one of the top benefits our integrators and end-users appreciate about our company. It’s part of our mission statement, and it’s a different experience in this industry. It’s customers like Kyle Chase who help us know what our users need and want from their software. We encourage you to talk to us about your projects, and what you’re trying to accomplish. The best way is to visit the forum and post the challenge you are trying to overcome, and we’ll see what we can do to help. The developers of Ignition frequently visit and respond to forum posts—so you can be sure you’ll be heard by the creators behind our software. Oftentimes since Ignition is so flexible, we can show you how to solve the issue at hand. If not, we take notice of those unsolved challenges and consider them in the development of future product releases. We love it when customers interact with us—call us, email us, or visit us in person at industry events. For those of you who were unable to attend the OPC Seminar, there are more coming up! We’ll be at the rest of the OPC Seminar events this year, and encourage you to attend if you can—especially if you’re in the area. These OPC Roadshow events are free to attend and a great way to get up to speed with what OPC-UA technology has to offer.